Wizzard were a Birmingham-based band formed by Roy Wood, former member of The Move and co-founder of the Electric Light Orchestra. The Guinness Book of 500 Number One Hits states, "Wizzard was Roy Wood just as much as Wings were Paul McCartney." Not long after the release of Electric Light Orchestra's first album, Roy Wood found himself frequently at odds with co-leader Jeff Lynne. After increasing personal and musical differences it became clear that both could no longer work together in the same group, so Roy Wood left, taking band members Bill Hunt (keyboards and french horn) and Hugh McDowell (cello), as well as Electric Light Orchestra's sound engineer, Trevor Smith, with him, to form Wizzard. Also in the line-up were former The Move bassist Rick Price, drummers Charlie Grima and Keith Smart (all formerly of Birmingham group Mongrel), and saxophone players Mike Burney and Nick Pentelow (the son of actor Arthur Pentelow). Prior to the recording of the band's second album, Introducing Eddy and the Falcons, Hugh McDowell left and was not replaced, and during the recording of the album Bill Hunt also departed and was replaced by Bob Brady (also from Mongrel). Prior to the recording of the band's final album, 2000's Main Street, in 1975, drummer Keith Smart departed the band and was not replaced. The band made their live debut at The London Rock and Roll Show at Wembley Stadium on 5 August 1972. It was the very first concert to be held at the stadium. Wizzard's second appearance was at the Reading Festival later that month. With Roy Wood's distinctive warpaint make-up and colourful costume, not to mention regular appearances on BBC Television's Top of the Pops in which members and friends, including Roy Wood's girl friend, singer Ayshea Brough, variously appeared in pantomime horses, gorilla costumes or as roller-skating angels, often wielding custard pies for good measure, they were one of the most picturesque groups in the British glam rock era. In January 1973 they scored their first Top 10 hit with "Ball Park Incident". Their biggest hit was with their second single. "See My Baby Jive", Roy Wood's faithful and affectionate tribute to the Phil Spector generated 'Wall of Sound', made No. 1 in the UK Singles Chart for four weeks. The follow-up, "Angel Fingers", also topped the charts for one week. Like The Move's second, third and fourth albums, Wizzard's debut album, Wizzard Brew, contained none of the hit singles, choosing instead to focus on lengthy saxophone improvisations, jazz-flavoured jam sessions and a military-style brass band number. The follow-up album, 1974's Introducing Eddy & The Falcons, was much more commercial fare. The band's 1973 Christmas single "I Wish It Could Be Christmas Everyday" has become something of an annual fixture on British radio and television (along with Slade's "Merry Xmas Everybody" and, until his public fall from grace, Gary Glitter's "Another Rock n' Roll Christmas"). It was reissued in 1981, and a 12" re-recording appeared in 1984. During 1973 Roy Wood was simultaneously exploring a solo career with his album Boulders, which produced a Top 20 hit in "Dear Elaine". The subsequent heavy working schedule and strain led to health problems, and several cancelled or postponed live dates on a spring 1974 tour of the UK. One highlight of 1974 was a return to the Top 10 with "Rock 'n' Roll Winter (Loony's Tune)". Release was delayed for several weeks until the end of March, so the words 'Sorry, the word 'Spring' wouldn't fit. R.W.' were added on the label after the title. Unusually for the time, this and the B-side, "Dream of Unwin", were both recorded and released in mono. The song was dedicated to Roy Wood's girlfriend of the time Lynsey de Paul, who repaid the honour by recording a Wizzard flavoured song "Ooh I Do" a few months later. 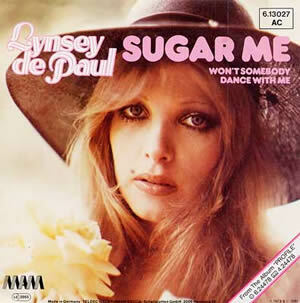 Lynsey De Paul suffered a brain haemorrhage on the morning of 1. October 2014 and died in a London hospital. A tour of the U.S. later that year failed to bring them any commercial success there, but after meeting Brian Wilson some members guested on a Beach Boys session, which resulted in the eventual release of the latter group's single "It's OK" in 1976. Wizzard was an expensive band to maintain, both because of the large line-up, in terms of recording costs, and Bill Hunt's propensity to smash the pianos of the venues they were playing at. According to Rick Price in a radio interview, "...even when we've had permission to do so. At one gig they said, 'Oh, go on, smash it up; it's only worth a fiver.' So Bill Hunt smashed it up, and we got a bill for a hundred and ten quid!" Studio time was an even greater drain on the band's finances. Rick Price again: "When we finished recording "Angel Fingers" it was rumoured that we had spent more time in the studio than Paul McCartney had with the whole of the Band on the Run album. Whether it was true or not, this meant that most of the record company's money was spent in studio time and that the members of the band had to rely on live touring work for their income. A couple of tours in the U.K. and one tour of the U.S. were not enough to ensure regular wages for the band. One by one the band members found other, more lucrative, things to occupy their time." By autumn 1975 they had split, leaving a farewell single, "Rattlesnake Roll", which failed to chart, and a third album, Main Street, which their record label did not release as they deemed it insufficiently commercial. Wizzard had initially intended their second album to be a double, with one disc a set of rock and roll pastiches and the other disc jazz-rock. The record label heard the rock and roll set and decided to release that as a single album, which appeared in 1974 as Introducing Eddy & The Falcons. Main Street, the jazz-rock set, languished in the vaults and was for some time presumed lost, but was finally released in 2000. Following the band's split in 1975, Roy Wood and Rick Price formed the short-lived Wizzo Band, after which Roy Wood reverted to a solo career in addition to producing records for other acts, notably a 1979 Top 10 cover version of "Duke of Earl" for British doo-wop revivalists Darts. On 13 November 2014, saxophonist Mike Burney died, aged 76, after a long battle with cancer. Webmaster: Ken Stavensoe Nielsen, 11-10-2017.